Birmingham&apos;s Labour MPs are calling for the city&apos;s controversial £35 a year &apos;garden tax&apos; to be suspended following the publication of a report into this year&apos;s garden waste debacle. But the Labour-run council insists it is sticking to the charged service for 2015 but has pledged to make improvements to ensure the collection of grass cuttings runs smoothly. With a general election approaching, the Labour MPs fear a repeat of last year&apos;s scenes of fly-tipped bags of garden waste piled high at the roadside, huge bank holiday weekend queues of cars at council tips and delays to the delivery of special green waste wheelie bins. The debacle was blamed for Labour losing two council seats and failing to win several others in the 2014 local election. Now, a watchdog committee review has urged the council to increase options for payment, install technology in lorries to locate and record collections, ensure residents have clear information, tackle fly-tipping and develop community compost schemes and other alternatives to doorstep collections. The sustainability committee&apos;s report concluded the service was introduced in a rushed manner and many mistakes were made as a result. Despite this, about 50,000 households paid the charge and so far 15,000 have paid for 2015. While welcoming the review, Northfield Labour MP Richard Burden has urged the charge to be suspended while improvements are made. He has written on behalf of the eight Labour MPs to the council&apos;s chief executive with a series of questions about the authority&apos;s assumptions about the operation of the charge in 2015 and how quickly improvements identified as necessary can realistically be introduced. 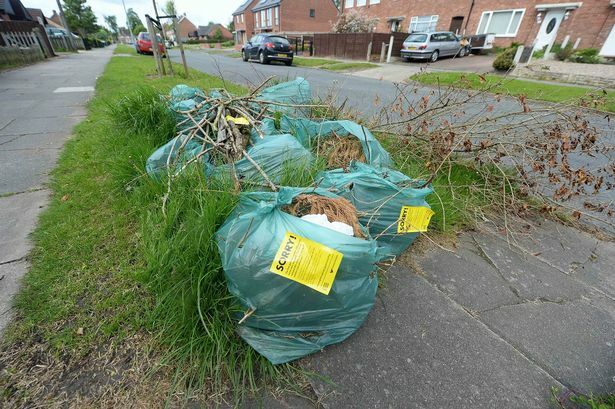 He said: "Today&apos;s findings underline there are real issues with the council&apos;s green waste charge and that its introduction earlier this year was badly mismanaged. As a result public confidence in the system evaporated. "This is a serious piece of work that demands serious attention. The good news is that everyone now seems to accept big changes have to be made but I just don&apos;t think it is feasible for the council to plough on regardless in the meantime. "My message is clear, take a step back. Suspend the charge so the public can have confidence that you will get it right in future years and keep our streets clean." Council cabinet member in charge of bins, Lisa Trickett replied: "As we have previously acknowledged, there were teething troubles which is inevitable when you introduce a city-wide opt-in service. "But we have been successfully tackling as we go along and have devised a service improvement plan for waste collection. "We are bringing in further enhancements as promised such as in-vehicle technology for crews that will help them deliver an even more reliable service. "So far, 15,000 subscriptions have been placed for 2015, showing there is an appetite for the service we are offering." An early bird charge has reduced the fee to £30 if paid before the end of the month.